You want quick and effective treatment. We understand that! That’s why we complement our therapies with high-tech solutions. The brain communicates with electrical impulses called brainwaves. 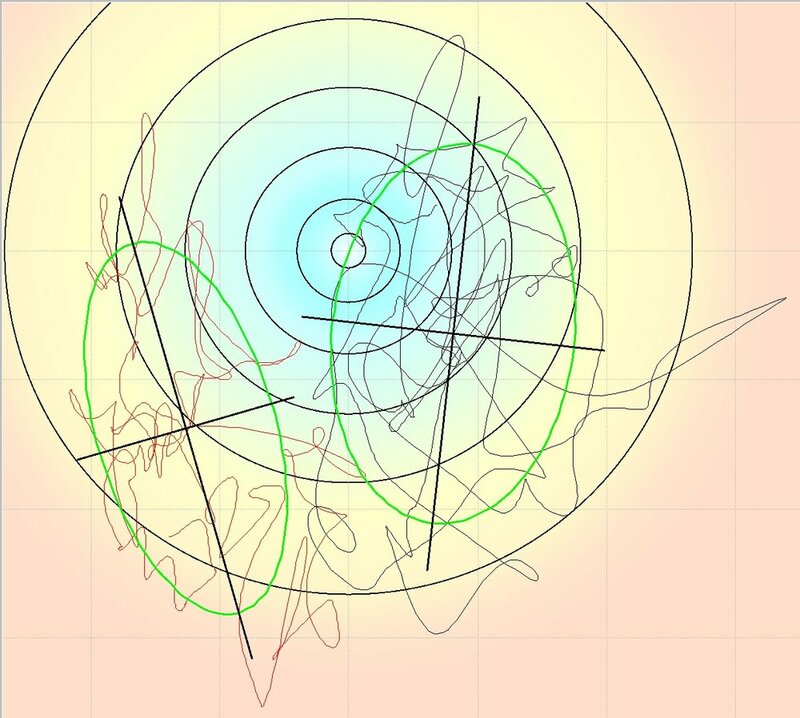 Emotions, digestion, thinking - it all comes from these brainwaves. Fast brainwaves help us solve problems and make decisions. Slow brainwaves heal, learn and control gut function. 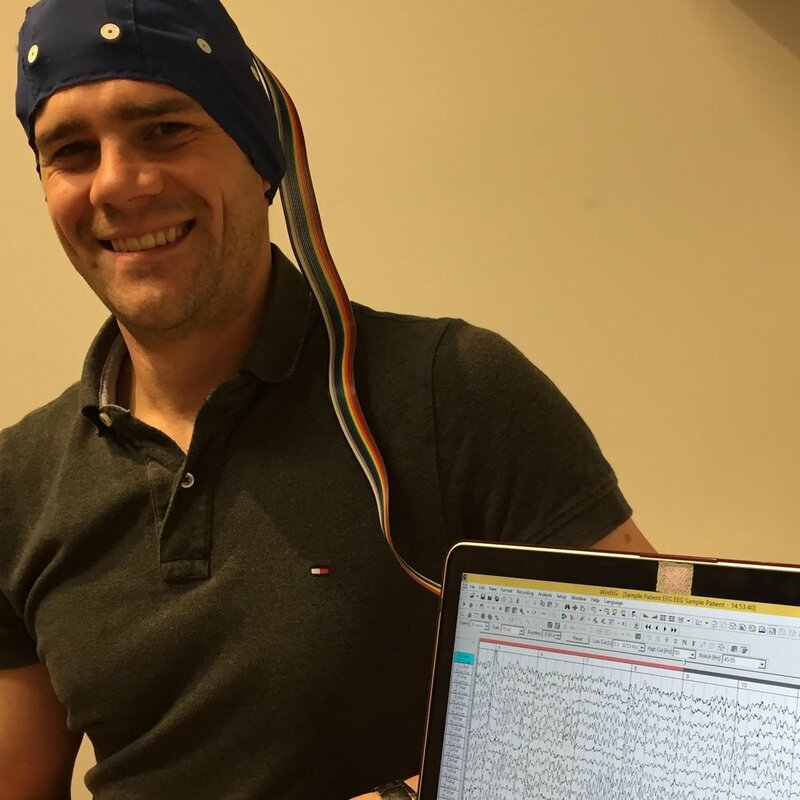 We can measure the connections and sequences of brainwaves using sophisicated technology called Quantitative Electroencephalogram or QEEG for short. Different patterns are seen with stress and over-thinking or having dizziness or attention difficulties. In chronic pain and migraines, there are more slow waves. In a migraine attack, slow waves travel through the brain like a tidal wave. In anxiety, there’s too much fast brainwaves. When we can identify the brainwave patterns, we can create an action plan for you! As the name suggests, Balance Force-Plates track your stability and balance. They provide greater detail and accuracy than watching someone trying to stand on one leg. This is especially useful in concussion, falls risk assessment and dizziness patients. Your brain can change. This occurs through an incredible scientific process called neuroplasticity. Taking advantage of this, we can change the brain for the best. To balance the brainwaves. To reduce symptoms. To make life easier. With specialised equipment, you’ll train your brainwaves. Neurofeedback is pain-free, non-invasive and often a relaxing process. Heart Rate Variability, or HRV, is an easy way to test and train the balance of your sympathetic and parasympathetic systems. The sympathetic ‘fight or flight’ reaction is responsible for increasing heart rate, muscle tension and blood sugar levels. The opposite is the parasympathetic ‘rest and digest’ system. HRV training helps pain, gut function and mental health. Cold laser heals, reduces inflammation and relieves pain using light stimulation. Yes, it’s as gentle as it sounds! 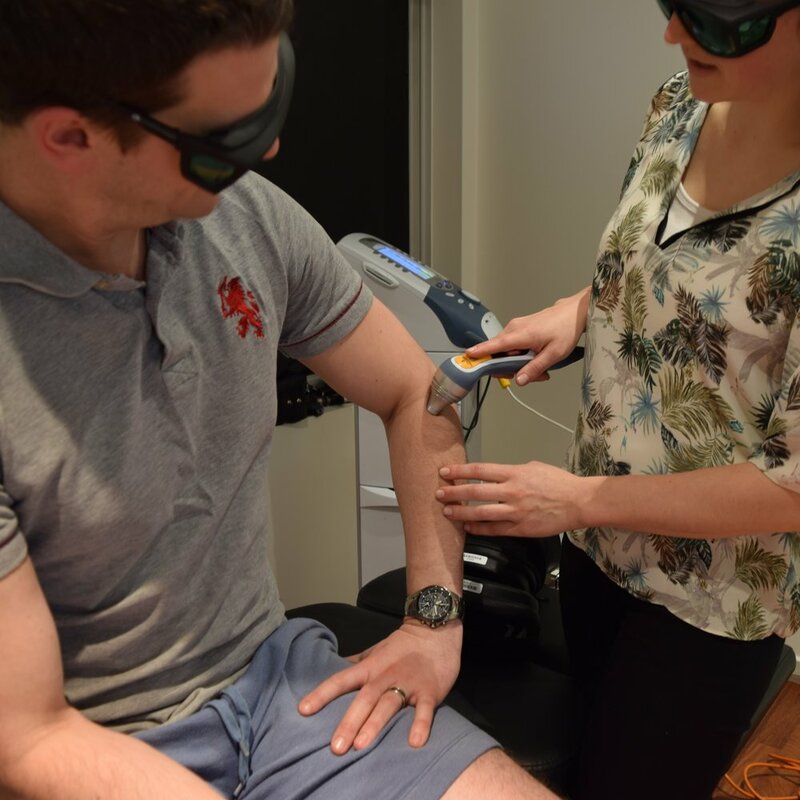 Cold laser is used by our Chiropractors with adjustments, massage, rehab and other therapies. Nerves carry messages from the brain to every cell of our body. The nerves tell the muscles to contract, the gut to digest, the heart to pump. 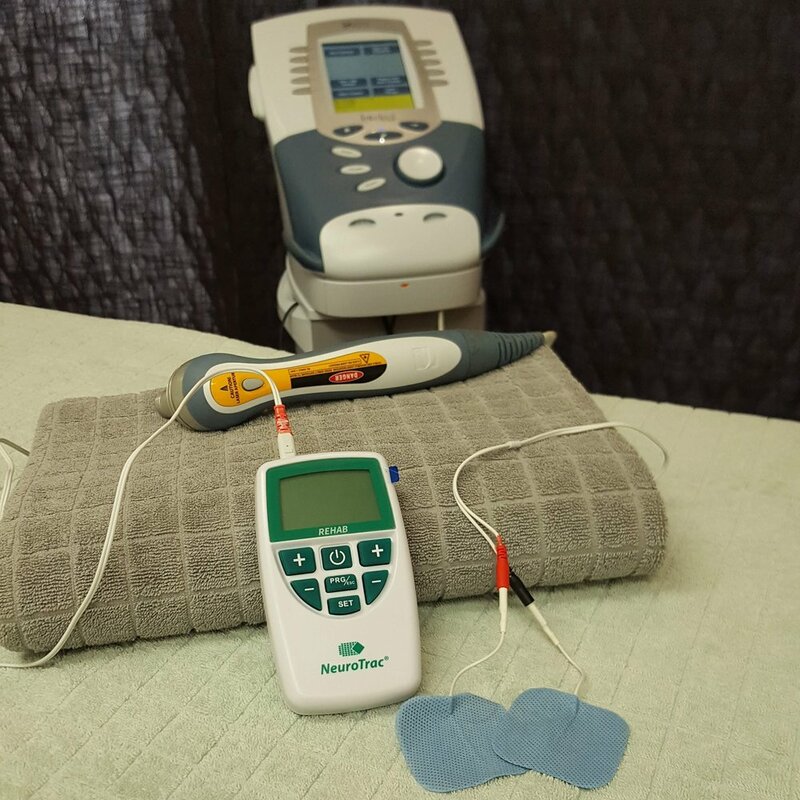 TENS machines stimulate the nerves to reduce pain. Or even to relax or rehabilitate muscles. TENS and other advanced machines are used by our Chiropractors, Remedial Massage Therapists and Myotherapists. Neuro-Modulation stimulates the nerves in a similar way to a TENS machine. We use specialised equipment to non-invasively stimulate the vagus and trigeminal nerves. Vagal nerve stimulation enhances parasympathetic (rest & digest) system and has promising results with tinnitus and migraines. The trigeminal nerve provides sensation and pain to the face. We incorporate neuro-modulation techniques into our Neuro-Rehabilitation consults with our specially-trained Chiropractor. You know you need to do you rehab. You understand why you need to do it. Yet you can’t seem to find the motivation to actually do it! As part of our Chiropractic consultations, we’ll perform your rehabilitation exercises coupled with electrically stimulating the muscles to enhance the muscular contractions. It’s not painful, but you’ll feel like you’ve done a workout afterwards. People will often see changes in their pain after a single session of this intensive style of rehab training. Prologo is a specially formulated cream for treating nerve pain. It was developed using the latest clinical neuroscience and biochemistry research. This high-tech gel is used by our Chiropractors who have specialised training in Functional Neuro-Orthopaedic Rehabilitation.